Angola is still rebuilding its country since the end of a 27-year civil war in 2002. Fighting between the Popular Movement for the Liberation of Angola (MPLA), led by Jose Eduardo DOS SANTOS, and the National Union for the Total Independence of Angola (UNITA), led by Jonas SAVIMBI, followed independence from Portugal in 1975. Peace seemed imminent in 1992 when Angola held national elections, but fighting picked up again in 1993. Up to 1.5 million lives may have been lost - and 4 million people displaced - during the more than a quarter century of fighting. SAVIMBI's death in 2002 ended UNITA's insurgency and cemented the MPLA's hold on power. President DOS SANTOS pushed through a new constitution in 2010; elections held in 2012 saw him installed as president. 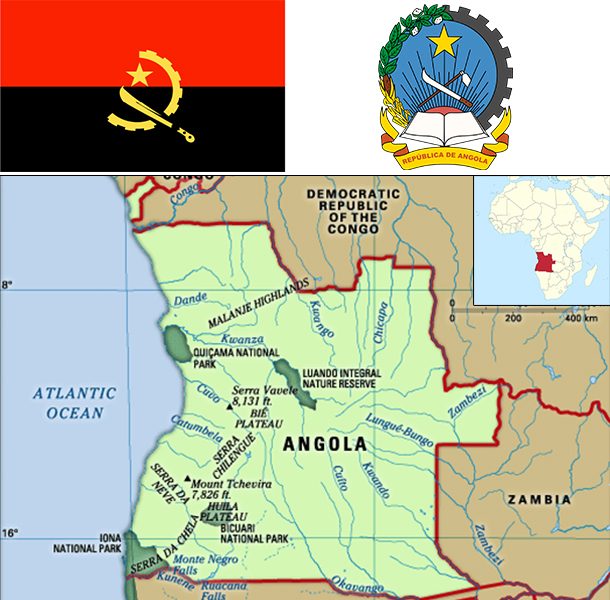 Angola assumed a nonpermanent seat on the UN Security Council for the 2015-16 term.